crosby g 209 bow shackles are forged - quenched and tempered, with alloy pin. crosby g 209 bow shackles have aworking load limit permanently shown on every shackle. 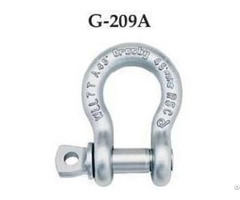 crosby g 209 bow shackles are hot dip galvanized or self-colored. 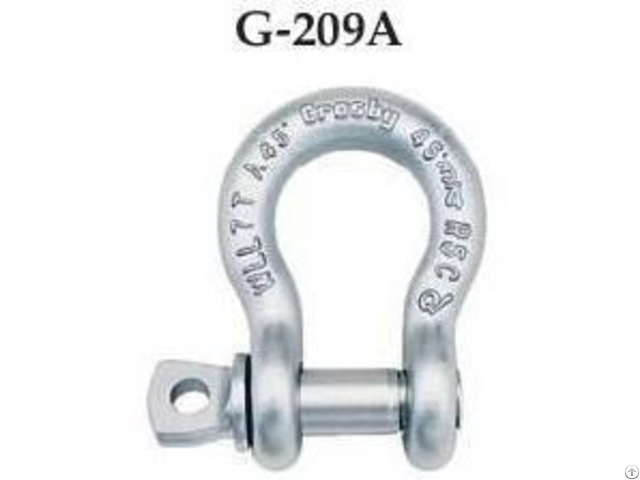 crosby g 209 bow shackles are fatigue rated. 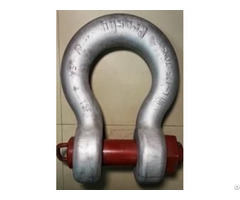 crosby g 209 bow shackles can be furnished proof tested with certificates to designated standards, such as abs, dnv, lloyds, or other certification. charged for proof testing and certification available when requested at the time of order. crosby g 209 bow shackles are quenched and tempered and can meet dnv impact requirements of 42 joules at -20c. look for the red pin. . .the mark of genuine crosby quality. 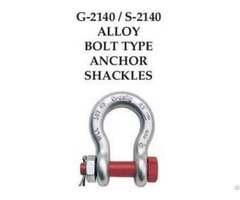 crosby g 209 bow shackles meets the performance requirements of federal specifications rr-c271d type ivb, grade a, class 2, except for those provisions required of the contractors. crosby products never break or crack on overloading, crosby products always give an overload indication before, failure, all crosby products are guaranteed to work for 20000 cycles at 1.5 times their working load limit.all crosby shackles and lifting items are made from forged, quenched and heat treated alloy steel.